Learn about the Monitor Station V2’s inputs. Learn about the Monitor Station V2’s outputs. 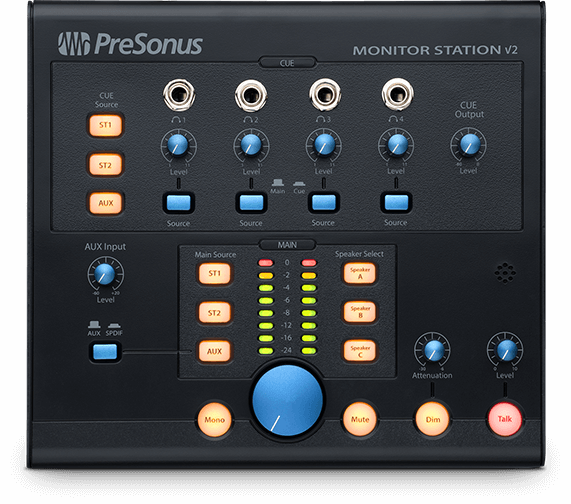 The PreSonus Monitor Station V2 is set up brilliantly. Those with varying degrees of knowledge will be able to grasp the device quickly and easily, and those who are already in-the-know regarding monitor control devices will have an even easier time. It works so well, that you pretty much forget what it's like not to have it. That's when you know you have a real winner.